Project accounting is a specialized form of accounting that corresponds to the ever-evolving needs of project delivery. It helps adequately track, report and analyze financial results and implications. In other words, project accounting is simply accounting on a project-by-project basis, whose responsibility falls on the project manager to track all financial components of any project such as budgets, estimates, order changes, expenses, bookings, billings and everything in between. Why is project accounting essential? A recent study shows that 9 out of 10 construction projects experience cost overrun, and a Gartner survey demonstrates that the failure rate is higher with larger projects. So what can we do differently in order to help ensure project success? As a wise man once said, “By failing to prepare, you are preparing to fail.” This is also very true in terms of project accounting. Use cost codes. The same codes should be used to categorize all projects companywide, as this allows all stakeholders to understand the projects and access relevant information across different projects. Let the project manager review the estimate and decide whether or not the estimated costs are realistic. When the project starts, agree on and set a goal for the project end cost, and allow the project manager to earn a bonus if they manage to execute the project under that number. Set key metrics to be followed during the project, such as project cost forecast changes and project profitability. 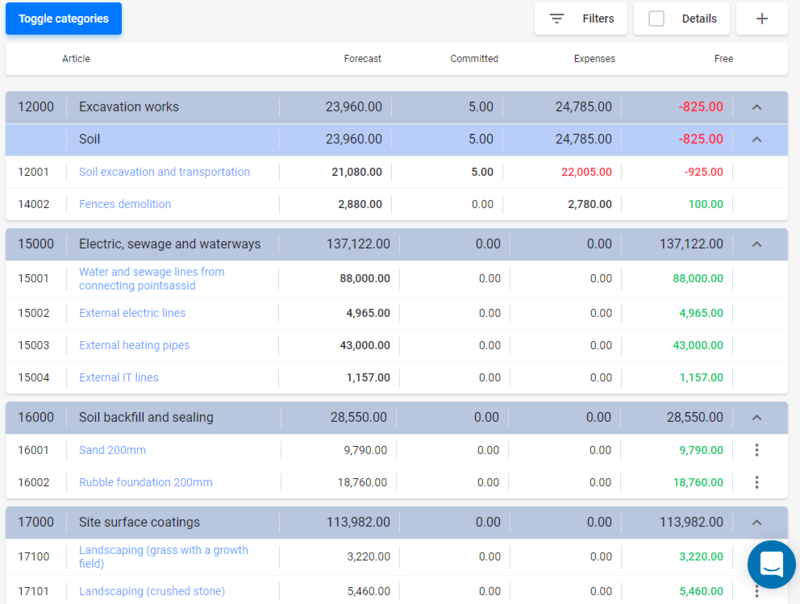 Manage the project budget from estimate, all the way through contracts and billing, until end costing all in one place. Additionally manage the units and quantities so that for each individual account, you’ll know the estimated units and costs, contracted units and costs, and all units and costs included in the account end costs. 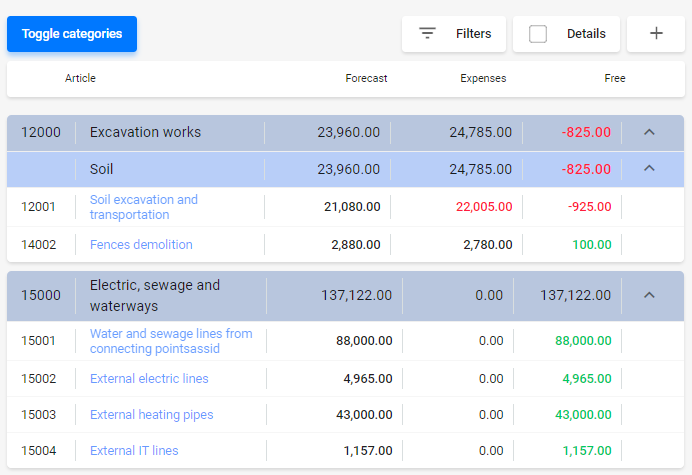 This enables estimators to access real-time cost information, prepare and send more accurate future estimates, and save time without the need to send emails back and forth. Additionally, you can now analyze where errors were made when projects end. Did the designer send poor material estimates, was estimating poorly carried out, or was the project manager sending poor information? Job costs should be controlled on an account level, meaning that whenever the cost of a single account exceeds plans, the relevant stakeholders should be notified. Being able to follow the project cost on an account level enables people to immediately take action whenever the risk for cost overrun occurs. Give a structure to your project budget so that it follows the chronological order of the project. Whenever any single phase ends such as the foundation works, you’ll then have a clear understanding about whether the costs of the phase exceeded the plans and how this in turn affects the overall budget. There could be months or even years between estimating the project and the actual start of it. Additionally, large-scale projects such as building office buildings, warehouses, etc. could easily last years, allowing any economic changes, market fluctuations, etc. to have an impact on project costs. To negate the risks of exceeding costs as early as possible, tracking cost forecast changes can help. The project cost forecast should be updated whenever a new contract is signed. This will indicate months or possibly years upfront about what the actual costs will be. It is therefore important to keep a close eye on the cost forecast whenever a new contract is signed or a new cost document submitted, the and updating the forecast as necessary. Most construction projects usually go through changes in plans, as there are a number of these changes to improve designs or even in case of the end user choosing green over blue. All order changes need to be properly processed and safely stored, and order changes created by the original owner added. There are usually a number of stakeholders involved in managing the project accounting process. These stakeholders include the project manager responsible for executing the project, the project engineer, CFO, CEO, estimators, customers, etc. Make sure that all relevant stakeholders are engaged, and provide them with regular reports and feedback. Have the project accounting process auditable. When the project ends, you’ll have a clear understanding about the profit centers of the project along with the jobs that cost extra. A proper project accounting process helps you to understand where any errors were made, such as if material estimates sent by the designer were poor, if the estimator did a poor job, or if the project manager signed poor contracts. Profitability control is the most widely-cited and straightforward consequence of project accounting, and with good reason. Excel spreadsheets are not the best tools for project accounting! Process should be clear for stakeholders – whenever someone leaves, it should be easy to pick up by the next person. Progress should be possible to follow in real time. Wherever possible, time should be saved on reporting. The project manager should be helped in keeping an eye on what’s important. Using spreadsheets for project accounting? Takes 10 minutes to see what the tool is about. No credit card required. Copyright © 2019 Fizure OÜ. All rights reserved.